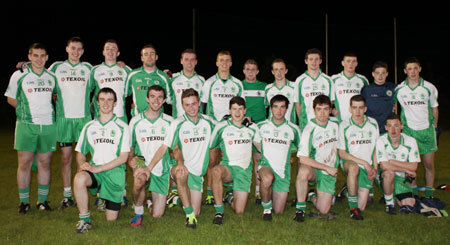 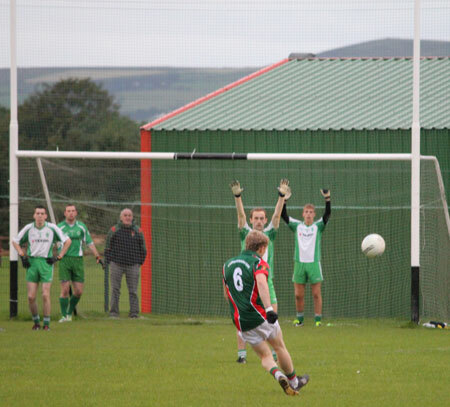 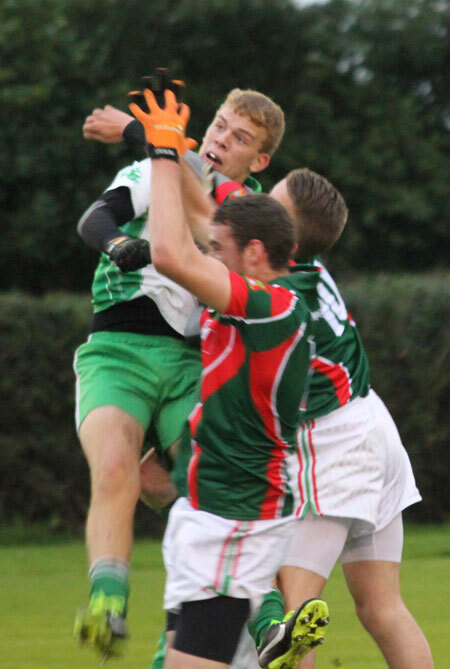 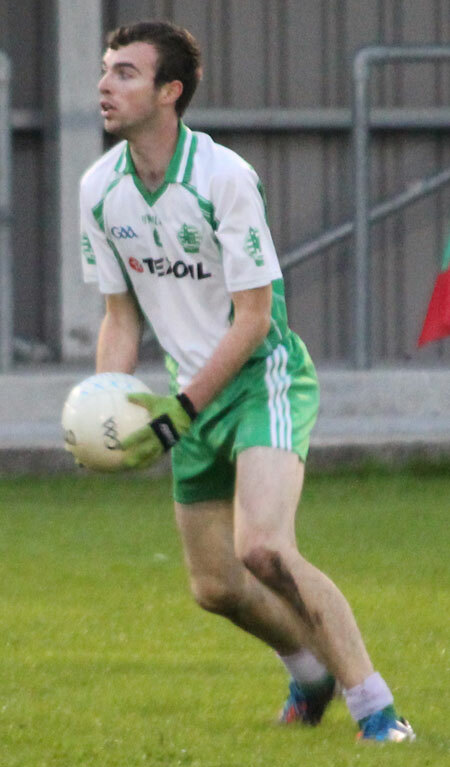 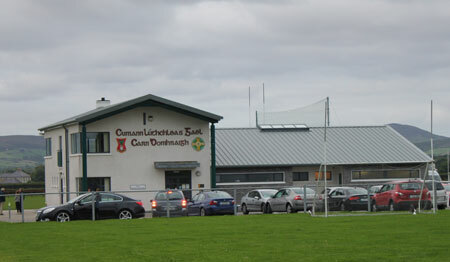 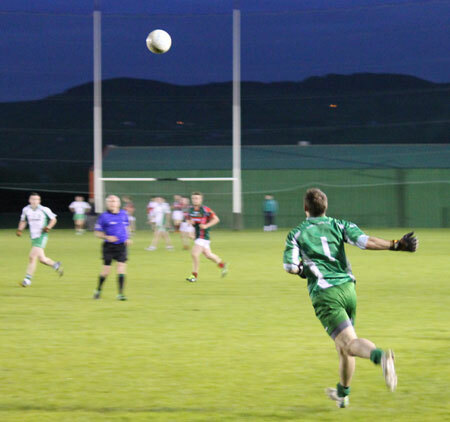 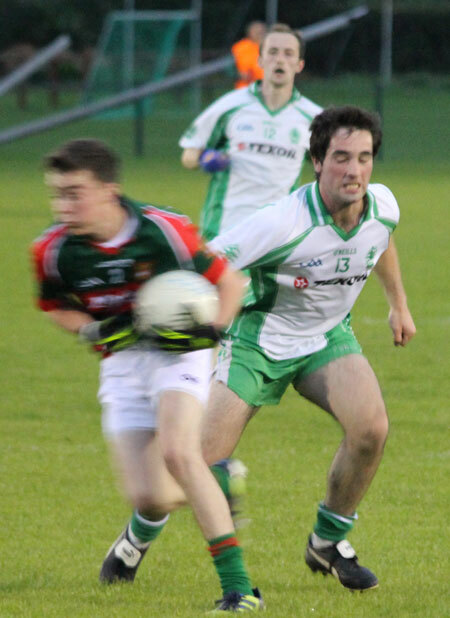 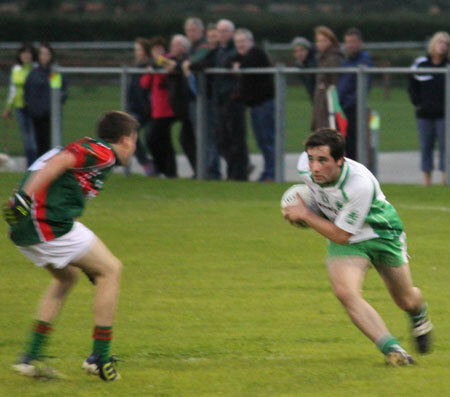 Aodh Ruadh under 21s claimed a notable win last Wednesday, defeating Carndonagh on their home patch by 2-11 to 1-10. 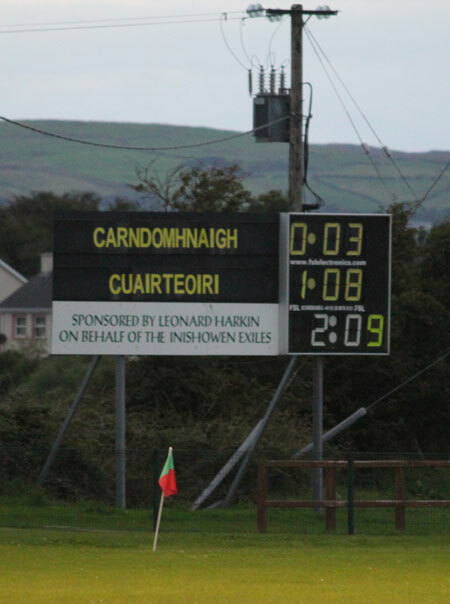 It's the club's first win at this grade in eight years. 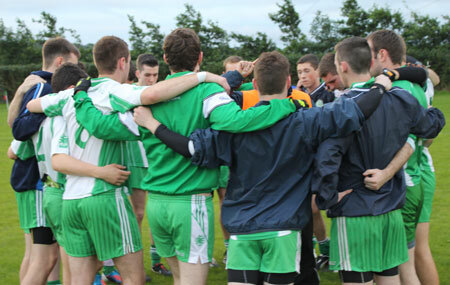 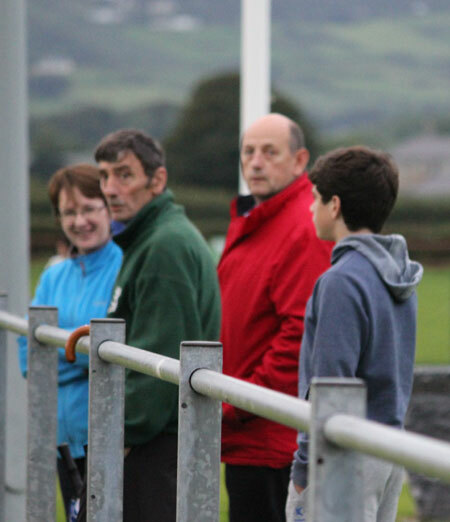 It wasn't made easy for them either, learning only as they set out for the Inishowen venue that the game had been pushed back to 8pm, leaving the Ballyshannon men unlikely to see home again much before midnight. 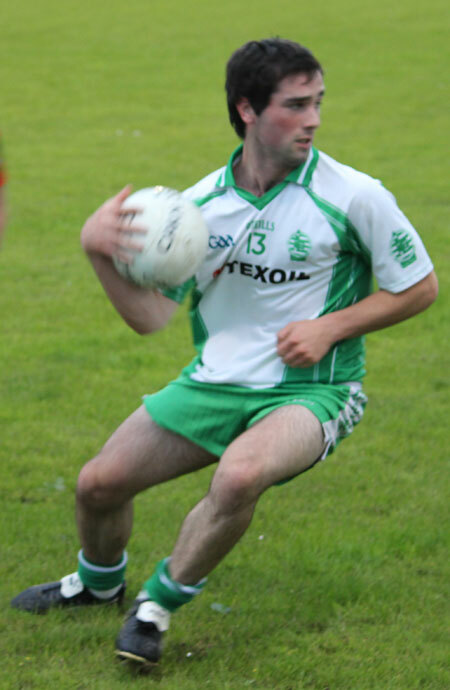 In any event Aodh Ruadh approached the game with some brio and made light of the circumstances to lead by 1-8 to 0-3 at half time, David McGurrin with the goal. 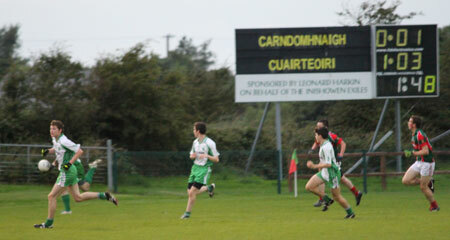 The visitor's maintained the pressure in the second half with Johnny Gethins hitting a second goal fresh from the bench. 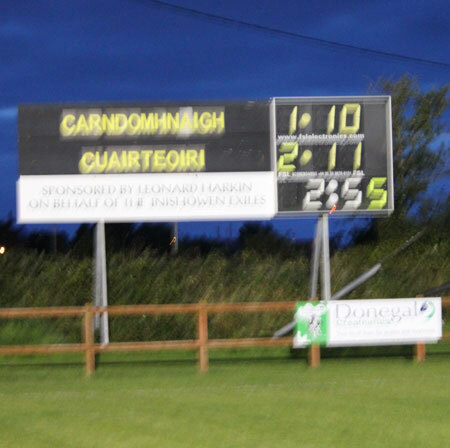 Only a late green flag for Carn took a little of the gloss off the final scoreline. 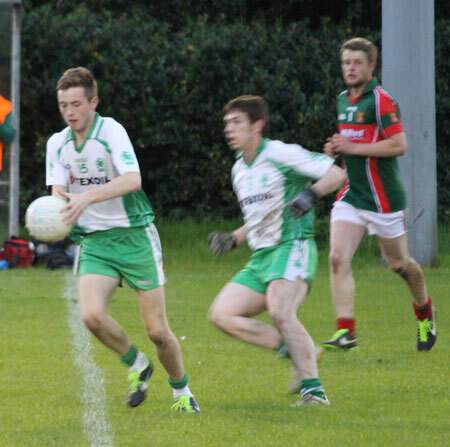 The side now face Buncrana in the under 21 B quarter-finals this Wednesday in MacCumhaill Park at 6.30pm. 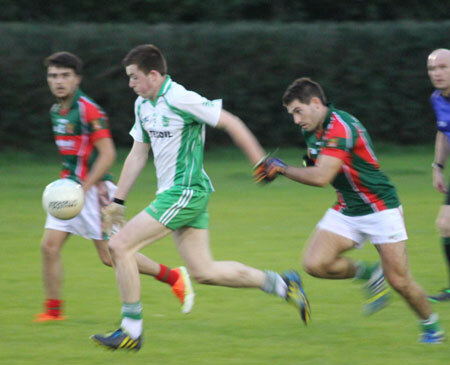 This is the first of two big championship clashes with the Scarvey side so we hope to see a big support down in Ballybofey for this one. 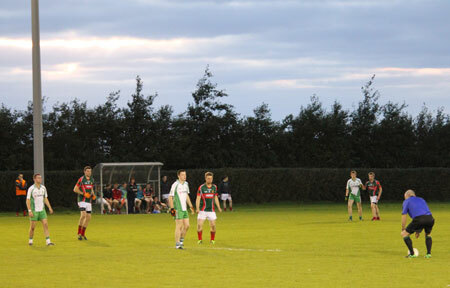 Fergal Bradley; Darragh Browne, Danny Monagle (1-0), Conor McDonagh; Christopher McCormick, Conor McCormick, Cathal Kelly; Ryan Kelly, Conor Fagan; Conor O'Sullivan, Fearghal Doherty (0-1), Conor Burke (0-1); Mark Diver, Eanna Newton (0-4), Thomas O Sullivan. 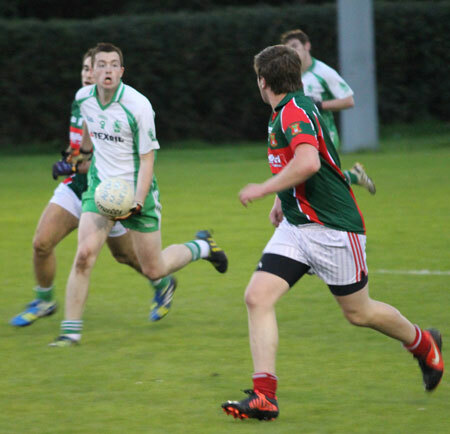 Substitutes: Padraig Doherty (0-4), Billy Dempsey, Liam Fox, Dermot McGonagle, Jamie McLaughlin, Ronan Hartin, Conor Matthews. 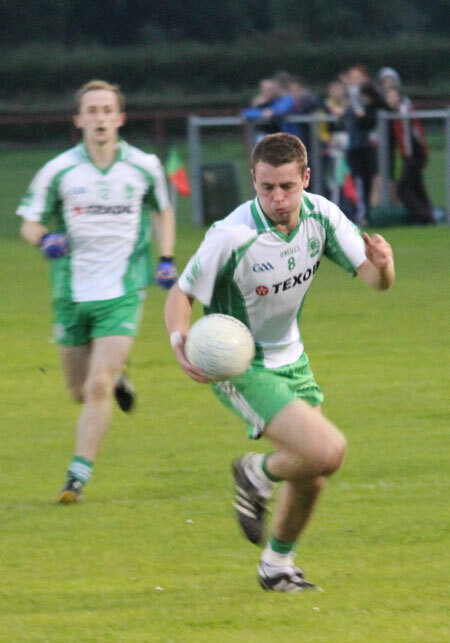 Peter Boyle (0-02); Matthew Maguire, Gary Carty, Colm Kelly; Kieran Keown (0-1), Conor Patton (0-2), Niall Harley; Ronan McGurrin, Eamonn McGrath; Daniel Kelly, Ryan Granaghan (0-1), Ronan Drummond; Jamie McDonald (0-1), Niall Thomas, David McGurrin (1-4). 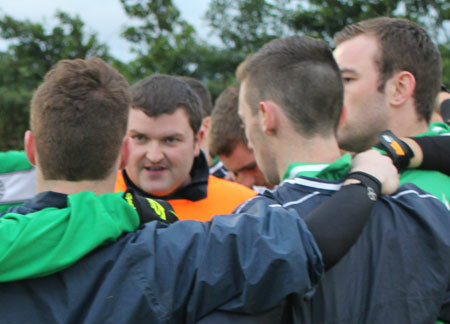 Substitutes: Johnny Gethins (1-00), Niall Murray, James Barron, Eddie Lynch, Michael McNeely, Ben McGowan.